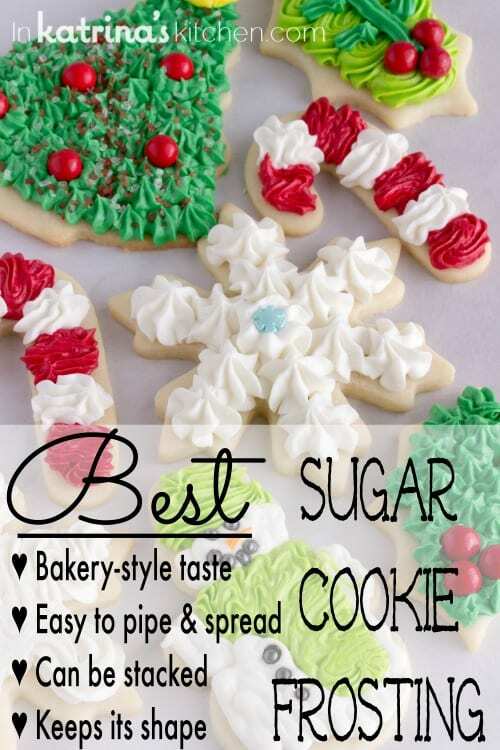 This is the BEST sugar cookie recipe- no chilling the dough, cookies keep their shape when baked, soft and flavorful, perfect for decorating. 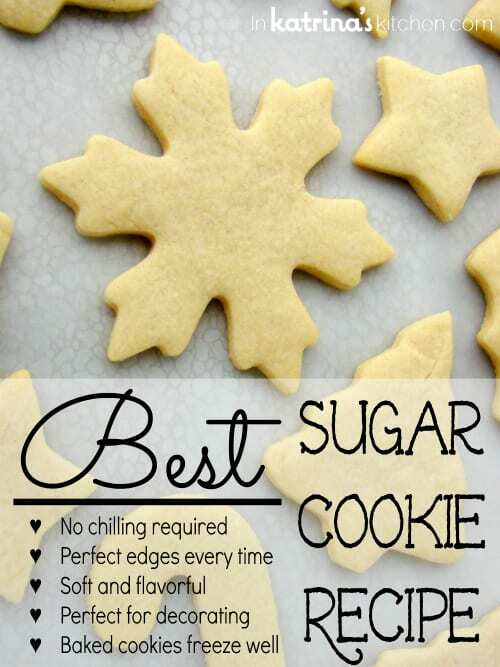 The baked cookie…Perfect edges every time! I have so much more to say but let’s cookie-talk for a minute. Throughout the year I have received many emails asking about my sugar cookie recipe so I’m going to lay it all out for you here. I have been using this recipe for over 20 years and it has never failed me. The texture is medium-soft but you can bake them longer if you prefer a crisp cookie. 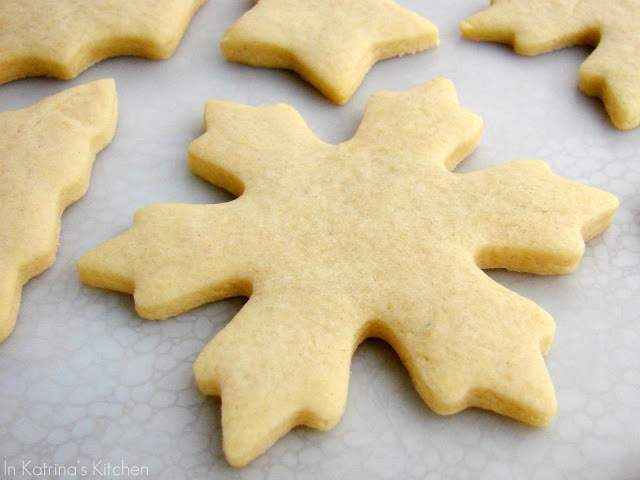 This Best Sugar Cookie Recipe EVER is my absolute favorite and I have spent many years perfecting it on friends and family. It does NOT need to be chilled. It can be doubled easily. It holds its shape with very little expanding when baked. The recipe I am giving you makes a large batch of dough because I like to bake a lot of cookies. Also I like to roll and cut my cookies fairly thick…to hold a lot of frosting. Incorporating the last cup of flour may make you nervous. It will be dry and look crumbly. Turn out the dough and work with wet hands and/or more flour until the dough is smooth and ready to roll. The dough is sticky and/or crumbly. What can I do? The final dough really comes together and has a texture close to Play-Doh. Wet your hands if you need to. Turn out the dough onto a floured surface. Don’t be afraid to use more flour and incorporate it in while you are “kneading” it into a smooth ball. Forget everything you know about sugar cookie dough. Don’t be afraid of sprinkling more flour as you roll it out. Use the scraps! Mix them back into the unused dough and keep going. Can I chill the dough? I want to chill the dough. Actually I need to make this 3 days in advance, is that okay? If you need to make the dough in advance you can chill it. Wrap it tightly with plastic wrap and store in the refrigerator. Bring the dough to room temperature before rolling and cutting. You may need to use more flour on the countertop. The cookies look under-baked. Can I bake them longer? I almost always suggest pulling out these cookies and the 8-9 minute mark. They will continue baking on the cookie sheet for a few minutes while they cool and set. After cooling for about 5 minutes I use a spatula to transfer them to a wire rack. 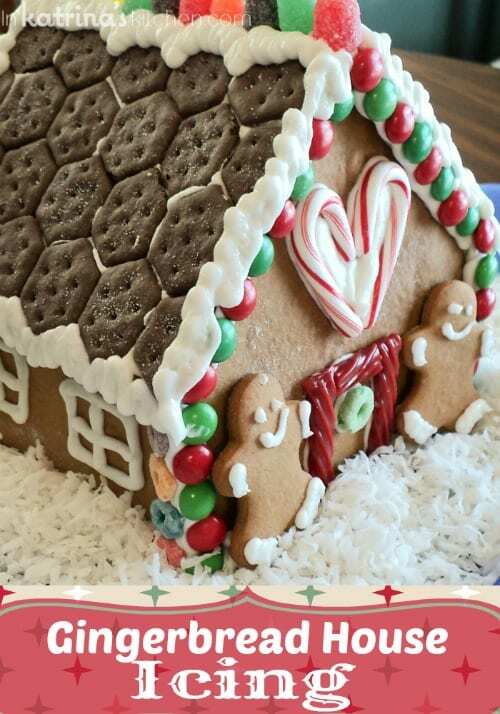 What is your favorite Christmas Cookie Frosting Recipe? I’m happy you asked! I like a soft, sweet frosting. Here is my favorite Christmas Cookie Frosting. Click here for my Small Batch Royal Icing recipe (it dries hard, and is perfect for holding together gingerbread houses too!). I hope you love this recipe as much as our family does! Merry Christmas! Congratulations to: Patricia #2026 “Thanks. I want to make Snickerdoodles.” I was not compensated in any way for this giveaway and as always opinions expressed are 100% my own. Good luck!